A clean bill of environmental health is one of the most important considerations during property transactions. 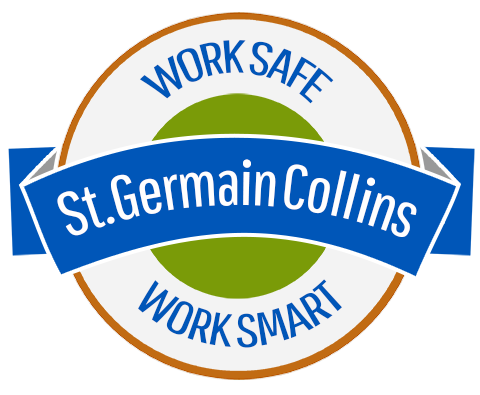 St.Germain Collins can help you identify environmental risks early; determine the authentic impact; and offer realistic solutions based on your environmental and business needs. Our goal is to provide essential information without engaging in unnecessary and costly environmental work. Order your DESKTOP REVIEWS or INVESTIGATIONS online here at the Client Login. The most basic type of environmental due diligence, this desktop review allows you to gain an understanding of the regulatory status of the site. This desktop review is a Screen Report that also includes a risk rating for potential contamination. This desktop review allows lenders to evaluate environmental risk quickly. These environmental due diligence assessments provide a risk rating for potential contamination based on a historical use records review and an environmental database search to the ASTM E 1527-13 standard. Our RSRAs meet the Small Business Association (SBA) SOP 50 10 5(K) standard. These are utilized prior to real estate transactions or financing to help you recognize and understand potential environmental concerns for a site. Performed to the ASTM E1528-14 standard, these are based on a site inspection, environmental database review, historical use records review, and interviews with owner and/or occupants. This environmental site assessment (ESA) provides the highest level of environmental due diligence without testing. If you are seeking Superfund / CERCLA (Comprehensive Environmental Response, Compensation, and Liability Act) protections, Phase I ESAs meet ASTM E1527-13 and the EPA’s “All Appropriate Inquiries” (AAI) standards. You can request client-specific ESAs that expand or reduce the scope of work for a conventional Phase I ESA to address unique site conditions or transaction details. A Phase II ESA is conducted when a Phase I ESA or other information indicates that a property may be contaminated. A Phase II ESA consists of collecting soil, groundwater, and/or soil vapor samples in areas where contamination is known or suspected. The Voluntary Response Action Program (VRAP) is based on Maine State law and essentially prevents the Department of Environmental Protection (DEP) from revisiting the site with respect to documented contamination addressed under the VRAP. St.Germain Collins has extensive experience working with the Maine DEP and managing successful VRAPs. Based on New Hampshire State law, this program essentially provides liability protection for the investigation, cleanup and redevelopment of contaminated properties. St.Germain Collins has extensive experience working with the Department of Environmental Services (DES) and managing successful “Brownfields” properties. This is a review of data related to human health risks and proposed future use of the property to identify the applicable cleanup standards and overall remediation goals. Then we systematically evaluate the potential remedial alternatives with respect to cost, effectiveness, schedule and practicality in meeting the remedial goal.